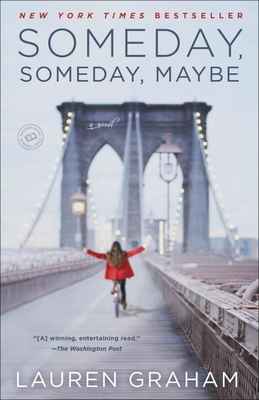 NEW YORK TIMES BESTSELLER • From Lauren Graham, the beloved star of Gilmore Girls and Parenthood, comes a witty, charming, and hilariously relatable debut novel about a struggling young actress trying to get ahead―and keep it together―in New York City. Lauren Graham is an actress best known for her roles on the critically acclaimed series Gilmore Girls and Parenthood. She has performed on Broadway and appeared in such films as Bad Santa, Evan Almighty, and Because I Said So. She holds a BA in English from Barnard College and an MFA in acting from Southern Methodist University. She lives in New York and Los Angeles.